"I was a public defender for almost a decade in LA. As such, I got to know a lot of private criminal attorneys. Most private attorneys were not noticeably prepared or engaged in their clients' cases. But, Michael stood out to me. He is engaged and prepared - the sign of an excellent defense lawyer. 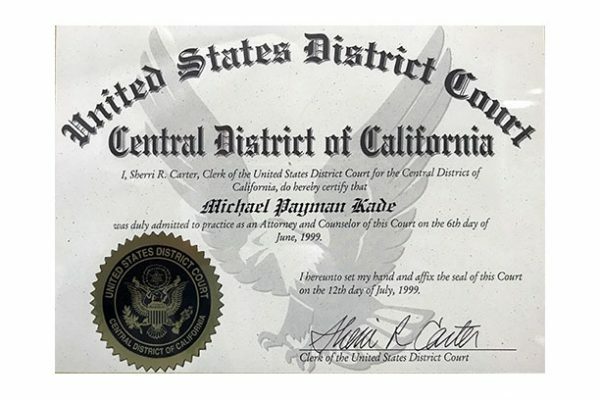 Michael truly cares for his clients and knows the law. He is not afraid to make his points, and go the extra mile for his client, especially in court. He is diplomatic, yet properly aggressive and persuasive. We have become good friends and trusted colleagues over the years. I am proud to say that because Michael is a class act. You should hire him with confidence and disregard any negative reviews here. He is an awesome, trustworthy lawyer. Period." 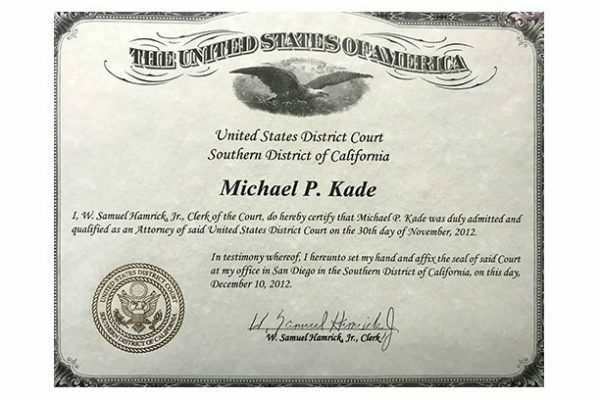 "Mr. Kade is honest, loyal, caring and most importantly smart. While those first qualities are great, most importantly I want my lawyer to be smart, so my case has the highest chance of success. I have full confidence in the smarts and ability of Mr. Kade. I trust him, and will continue to do so for my legal needs. Thank you Mr. Kade." "AMAZING EXPERIENCE!!! 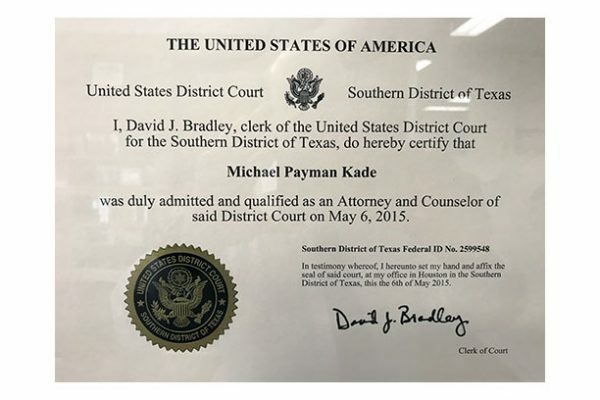 I'm so happy I consulted with attorney Micheal Kade. 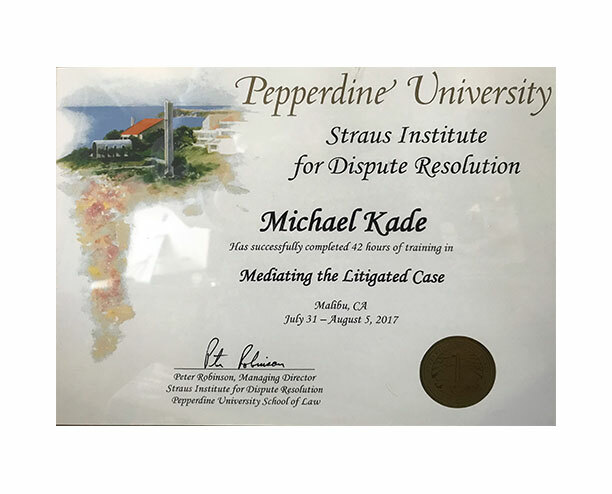 It turned out to be the best decision I could make to help me understand the legal situation I was seeking help for. 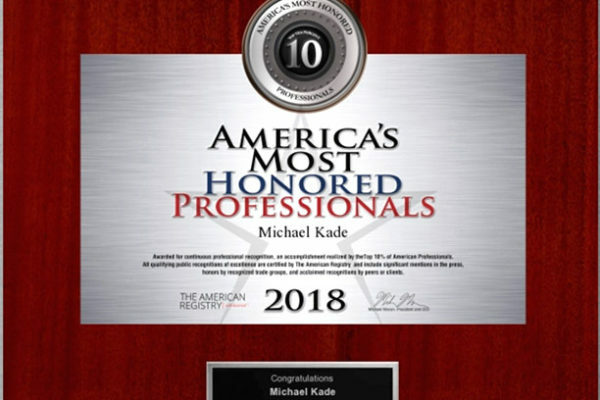 The attention and professionalism I experienced from Mr. Kade and his staff was the best from beginning to end, absolutely top notch. I immediately felt assured, that I would be well taken care of. 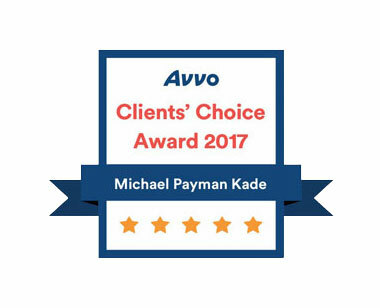 It was truly refreshing to feel completely confident that, Micheal Kade was the best attorney I could choose to represent me. BEST RESULTS EVER!!!!!!" 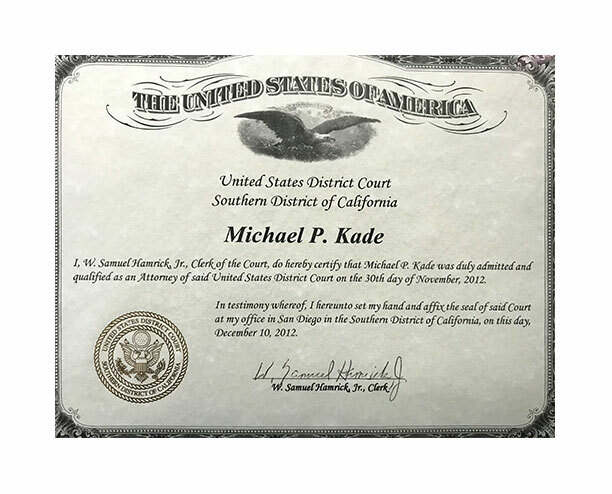 "The Law Offices of Michael Kade is always my first point of contact for any legal matters. 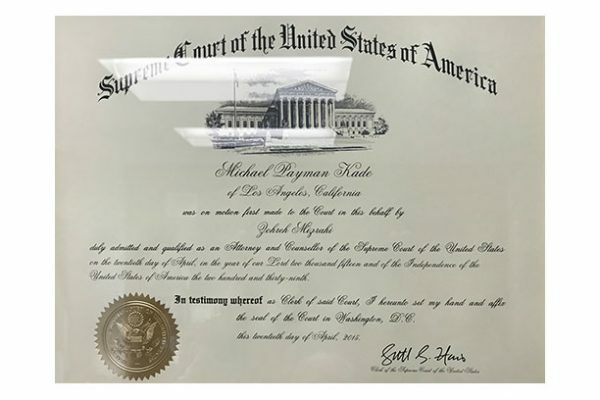 Michael is extremely professional, kind, knowledgeable, and selfless in his practice of law. 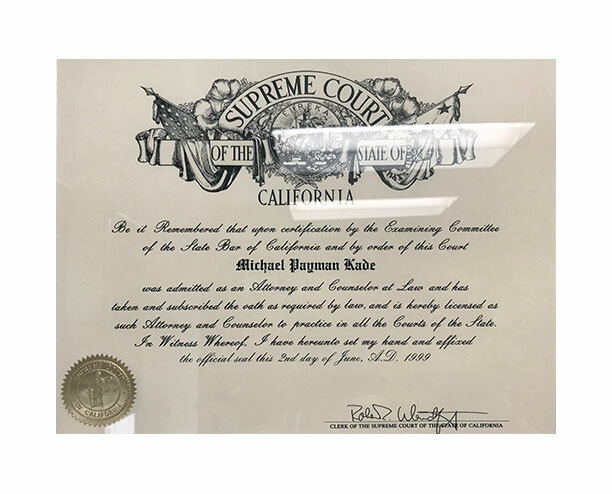 He knows the California court system backwards and forwards, and has an incredible work ethic that will not rest until your case is settled to his highest standard. Moreover, if Michael feels he can not be of service, he will always guide you in the right direction while having your best interest in mind. 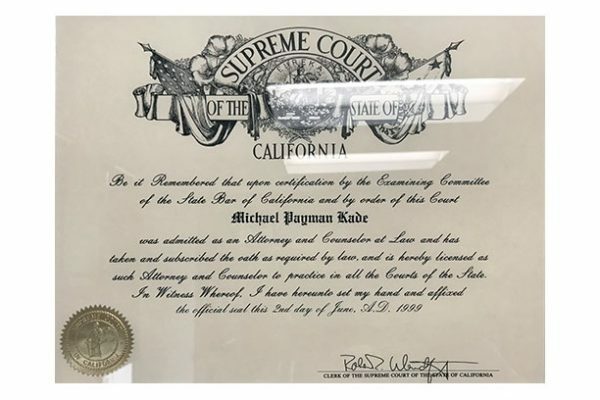 Hence, whenever I need the advice or involvement of an attorney, I call his office, hand everything over to him, and sigh a sense of relief because I trust him to achieve the absolute best outcome. Time and time again, Michael has proven himself to me and others who I have referred to him. Simply said, the level of support and expertise he provides, instantly relieves any unnecessary stress. If you need a lawyer, call his office. You will not regret it." 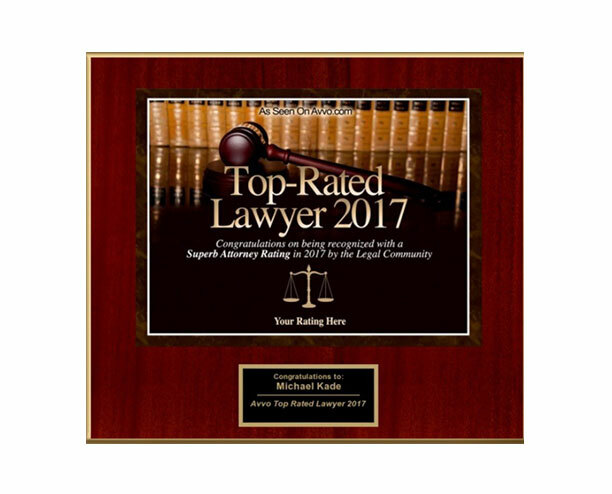 "I truly had the best experience I have ever had with a law firm! 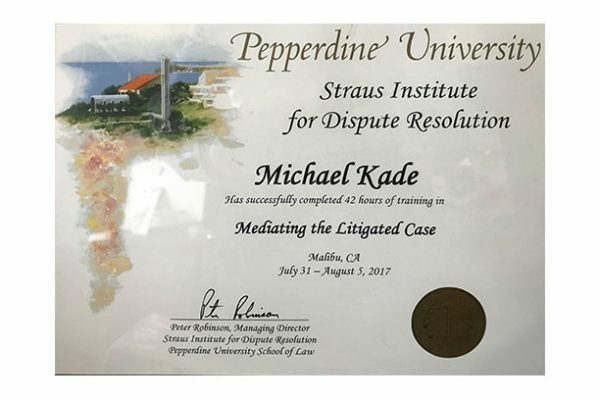 For my case, I had been to few law firms and in terms of the quality of consultation and professionalism none of them were even close to Michael Kade. To begin with, he was very humble and caring. he took his time to listen to the facts of my case and made very accurate predictions about how my case would turn out. 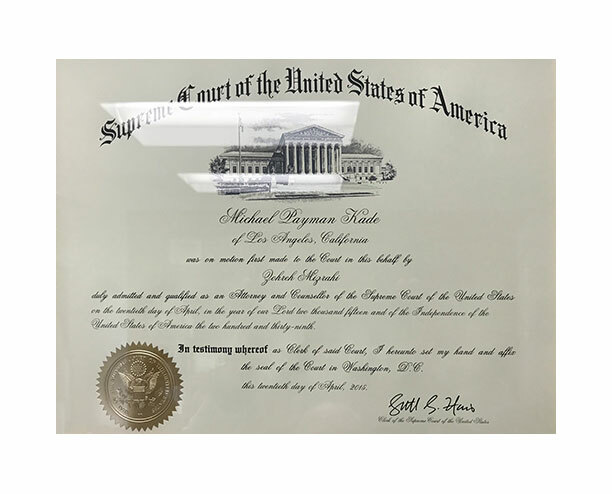 (I know this now after my case is done) He was extremely knowledgeable about the laws and the procedures and a true experts in his field. 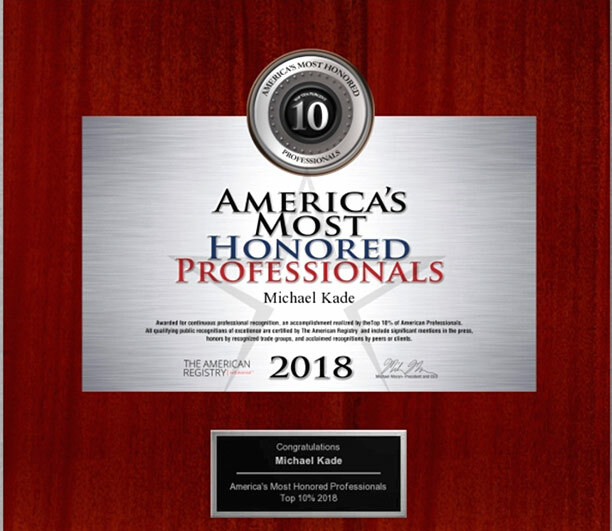 I highly recommend Michael Kade and his team!" 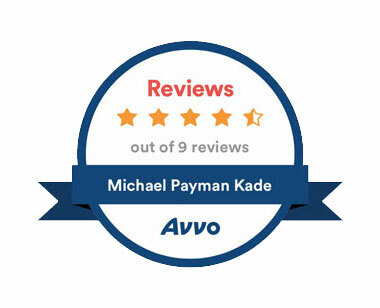 "I am writing this review because everyone needs to know of GREAT help and services that Mr. Kade and his team provide. 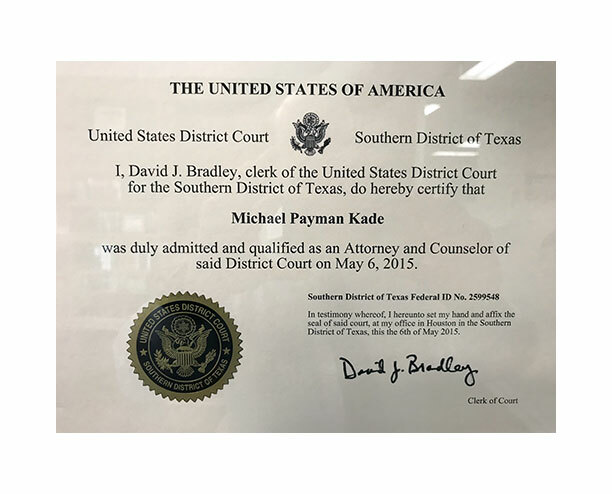 Mr. Kade’s vast knowledge and compassion to help is unbeatable and the fact that his first consultation was free was extremely helpful saving me money." 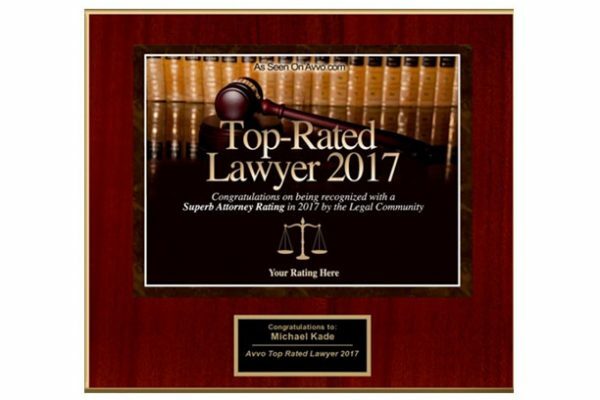 "Last year I hired Michael for my brothers DUI, he not only lowered his fees to help us out but he refused to just take any deal he fought long and hard for his case. I highly recommend him for all criminal matters!!" 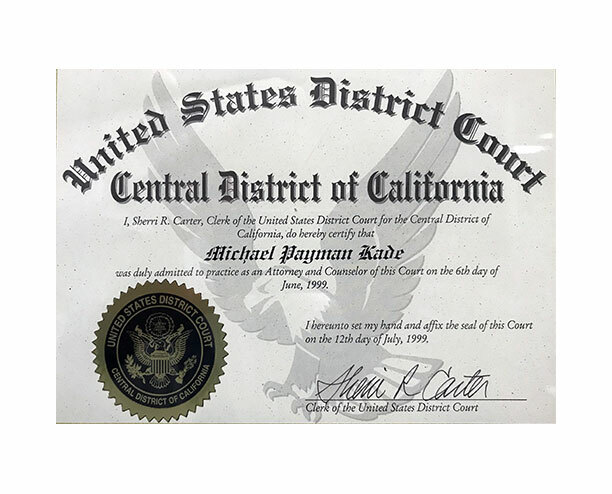 "I called Michael's office for consultation about a auto theft case (My car was stolen while parked in South Coast Toyota's parking for major service!). Michael called me back and explained the best course of action. He advised that lawyer is not needed for this case and explained how to pursue the case in civil court. This shows a great character. while other lawyers didn't bother to return my call he called me back and listen to my side of the story and explained what to do. Thank you so much for your time and expertise."